You have to love an idea involving Kool-Aid, right? 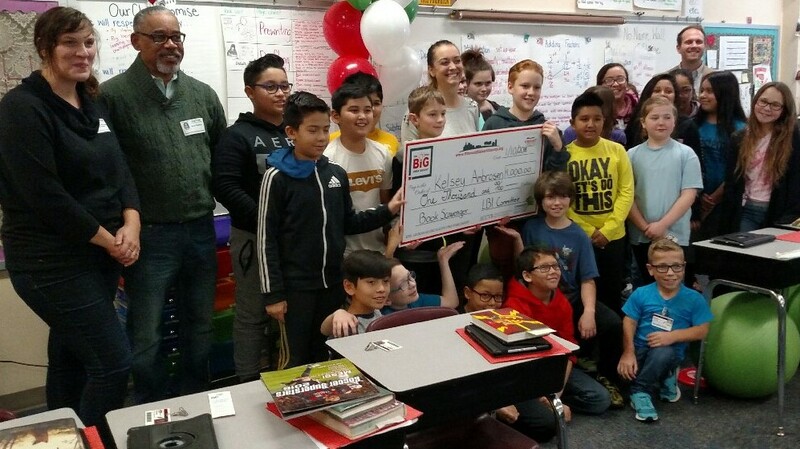 January’s recipients of Little BIG Idea Grants includes Canvas and Kool-Aid, which was Robert Taylor’s idea to bring the Elkhart community and especially kids together to create art while enjoying fruit punch. Canvas & Kool-Aid will be 3 to 6 p.m. Sunday, Jan. 21, at Historic Roosevelt Center, 215 E. Indiana Ave., Elkhart. It’s that kind of creativity, sense of fun, and building of community that the Little BIG Idea Grant exists to support. Taylor clearly loves his hometown, so we’re really excited for this project. Banita Joldersma of Elkhart is creating small pots to give to women who are experiencing the pain and loss of miscarriage. The grant will support Joldersma’s efforts, including supplies and materials, to create additional pots on top of the 40 she has already completed. She was inspired by her own personal experience and the role clay art played in her grieving process. She hopes to present her project at an open house in the near future. Middlebury Then & Now will be creating realistic hand-made works of art depicting figures from the town’s past such as a shopkeeper, a basketball player, a firefighter, etc., in ways in which the faces are cut out, allowing anyone to step up and have their photo taken. The project will celebrate key aspects of the town’s history in a fun way that gets people interacting with the art pieces. Kelsey Ambrosen, a fifth grade teacher at Prairie View Elementary School in Goshen, will be using a grant to bring the Book Scavenger game to the city of Goshen. The game is inspired by a book of the same name in which books are hidden across the country by players and can be found by accessing a website that has clues for the locations of books. Ambrosen and her class will hide the books, create clues and hope to inspire others to have fun and find even more books to read.